If you are looking for a nice place to pamper your taste buds and enjoy an exceptional dining experience with your family or friends in an elegant yet cozy atmosphere as if you were dining at home, we suggest you visit Terrazza restaurant. 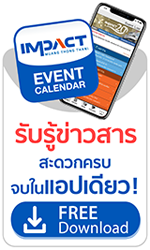 You will be spoilt for choices as the restaurant offers a wide variety of twisted Thai, European and fusion dishes made with selective ingredients and prepared by skillful chefs including a la carte menu and buffets. There are more than 100 items on the menu, ranging from appetizers, soups and main dishes including steaks, burgers, pastas, rice and noodles dishes as well as vegetarian items. The restaurant also offers refreshing beverages and desserts. 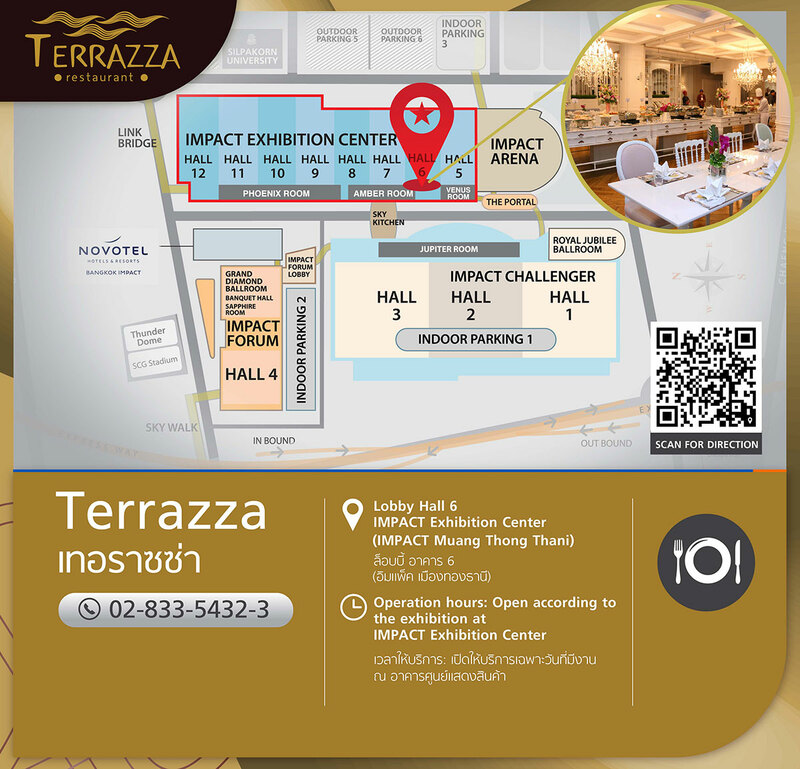 Come savor the delectable dishes at Terrazza restaurant whenever you get a chance to visit IMPACT Muang Thong Thani. You can also have a private party or wedding here at Terrazza restaurant.